Time to harvest all your hard work in the garden and create yummy, gorgeous salads! DIY pickled foods is a great way to add some flavor to a meal while promoting healthy gut bacteria! Fermented foods are a great source of natural probiotics! Adding fermented foods to your diet can help maintain healthy gut flora. Your gut has good and bad forms of bacteria that can proliferate and cause an imbalance in your gut health (click here to read my post on good bacteria!). It’s important to have more good than bad to maintain optimal health. For more information click on the book below! As the temperature drops the thought of warming foods such as ginger, cinnamon, and soups sounds delightful. Make the dressing: Gradually whisk oil into vinegar in a small bowl. Season with salt. Make the salad: Toss chicories, walnuts, persimmons, and pomegranate seeds in a large bowl. Add vinaigrette, and toss to coat. Remove the soup from the heat, stir in the coconut and seasoning, then cool briefly before whizzing with a stick blender until smooth. Sprinkle with coriander and serve with warm garlic naan breads. In a medium saucepan, bring apple cider, brown sugar, cloves, cinnamon and ginger to a boil over high heat, then reduce to a simmer. Cook for 10 minutes. Remove pot from heat, cover, and let it infuse for 10 minutes. Garnish each glass with a cinnamon stick if desired. The colors are abundant at your local farmer's markets and now is the perfect time to experiment with combinations. 1 lb thin skinned, mild (non bitter) cucumbers, such as Persian, Armenian, or Japanese cucumbers, thinly sliced. You might also try it with English cucumbers. In a medium sized bowl, gently toss together the sliced cucumbers, red onion, radishes, mint leaves with a little bit of white vinegar and olive oil, salt and pepper to taste. Right before serving, sprinkle on crumbled bits of feta cheese. Serve immediately. Serves 4. 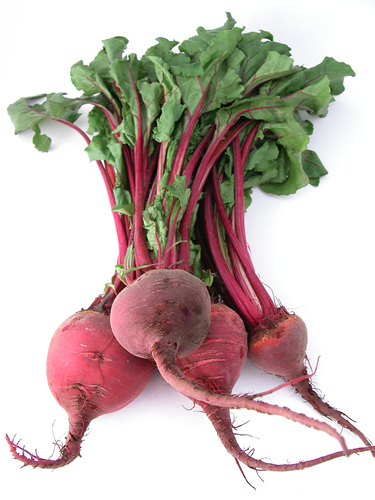 Just Beet It: my famous beet salad! I LOVE beets! I juice them, add them to my salads, and even use them to dye clothing! This delicious veggie is high in fiber, magnesium, calcium, iron, phosphorus, vitamins A and C, niacin, and folic acid. Studies have even shown that they can protect against heart disease and they are considered a blood cleanser and liver supporter. The newest research even finds that beets can help the body respond better to exercise and provide you with a lot of wonderful antioxidants. 4. Mix 1/8 cup of basalmic vinegar with 1/8 cup olive oil and pour on salad. 5. Top with raspberries and candied pecans.